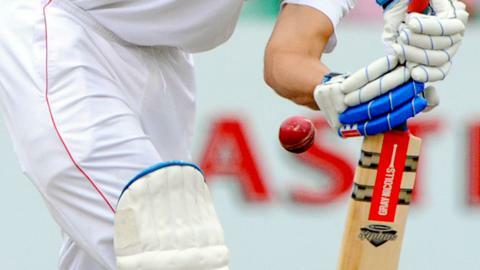 Lancashire edged closer to the Division Two title despite rain allowing only 33 overs of play against Gloucestershire. The match in Bristol looks to be heading for a draw, but it is a similar story for nearest challengers Northants, who are playing Kent. After losing the entire morning session to rain, Lancashire declared on 310-8 after securing a third batting point. Will Gidman took 5-61 and brother Alex was unbeaten on 21 as Gloucestershire closed on 89-3 in reply. It was a partial recovery from 48-3 after Glen Chapple, Kyle Hogg and Oliver Newby each took a wicket for the visitors. Lancashire went into the penultimate round of matches with a 36-point lead over second-placed Northants, and only need to match their result to be sure of going up to Division One as champions.